What does love equal for you? Click to download full resolution textureWhile walking around downtown St. Petersburg with camera and tripod in tow, I came across the above chalk drawing on the side of a brick wall of a church. I stopped and paused as it really caught my attention. To me it meant, "what does love equal to you?" I was glad to have the proper photo gear with me to make the best high resolution texture of the drawing I could. You can download the same full res texture here. 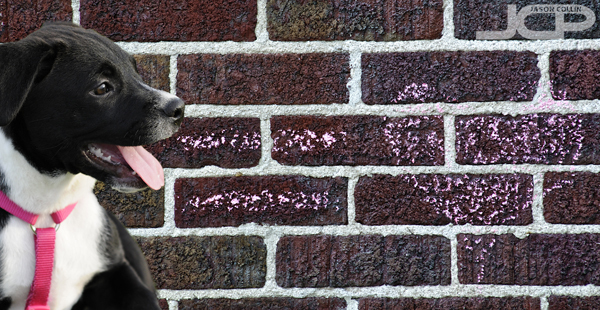 Beloved puppy Kiki used with brick wall heart textureI used some Photoshop skills to create the above composite image using the brick wall chalk heart texture. What would you put in front of the equal sign? There was more, a + sign! Click to download the full resolution textureThen I realized the artist had not just drawn an equal sign and a heart, there was a + sign also so that two things could be put together to show what creates love. Due to wall space constraints the space before and after the + sign were not equal so I photographed them the best I could. Might Jason + a Porsche 911 = love?Using the same Photoshop skills I made a quick mockup of what yours truly might add with to create love! Anyone who knows me knows my love for proper sports cars, and nothing is better than a Porsche 911! 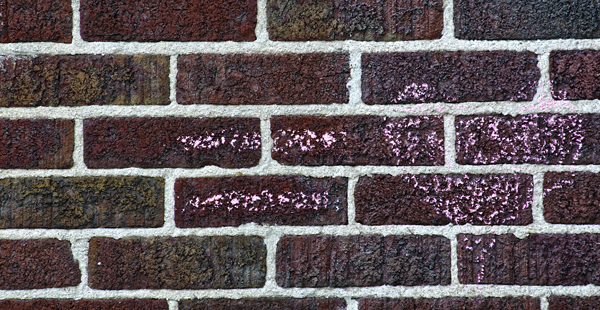 Put a link in the comments below to the composite images you create with the brick wall chalk heart textures.